For many years, I collected every doll that caught my fancy. It was intoxicating to see a pretty face or a fine costume and take the plunge. I had so many dolls that it was hard to arrange them all in my doll cabinets. They weren’t the finest dolls, but they were pretty. I have to admit that I had dreams of redressing every one of them. It took a while, but I eventually figured out that I’d never get around to all this costuming. It was just too overwhelming. And what was the point of having so many dolls if I didn’t appreciate them and could barely see them all in my cabinets. So, I set my sights on downsizing and purchasing my dream doll. 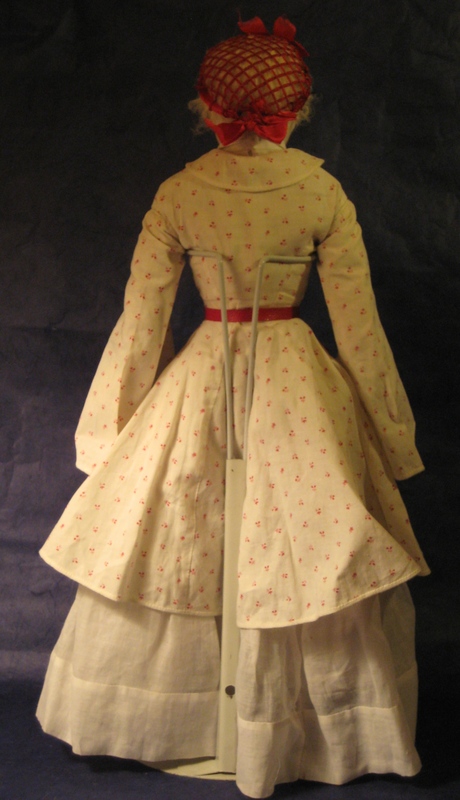 A doll which had endless costuming possibilities, a Huret. I sold or traded 35 dolls to purchase my Huret. This was a daunting task. I had no idea how to start, so I discussed options with several members of my doll club. 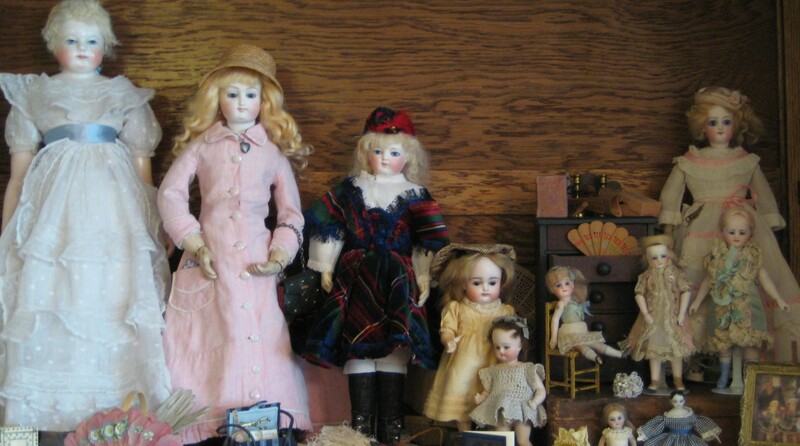 I have been a member of Sugarland Searchers Doll Club of Maryland since 1999. My club is a part of the United Federation of Doll Clubs (UFDC). I had considered using an auction to sell some dolls, so I asked several people if they had any experience selling dolls at auction. Only one had positive experiences selling at auction. Others had opinions, or anecdotes from others, but no direct experience. I decided to risk it and I called Theriaults, in nearby Annapolis, MD. They sent a representative to pack up my dolls. I was given no indication of their value and was told that it would take several months for all of them to be offered at auction. 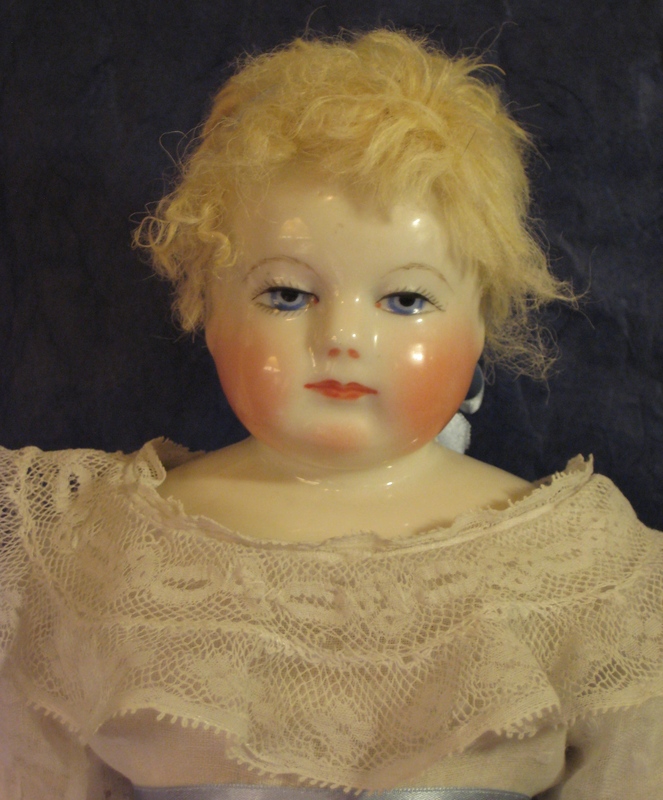 Theriaults has several different auction formats and only chose a few of my dolls for a catalogued auction. The uncatalogued auctions they hold don’t draw the big crowds nor the biggest spenders. Therefore, even though I received a generous sum for my dolls, most of them sold for less than I had hoped. The experience helped me to get close to my goal, but not meet it. I still love studying Theriaults’ catalogues, am always impressed with the quality of dolls they offer, and enjoy watching their auctions. But perhaps it wasn’t the best solution for selling my dolls. I was left with less to spend than I needed, so I sold a small French bebe to a friend and hoped for the best. At that year’s UFDC national convention in Philadelphia, I found my Huret in the sales room. 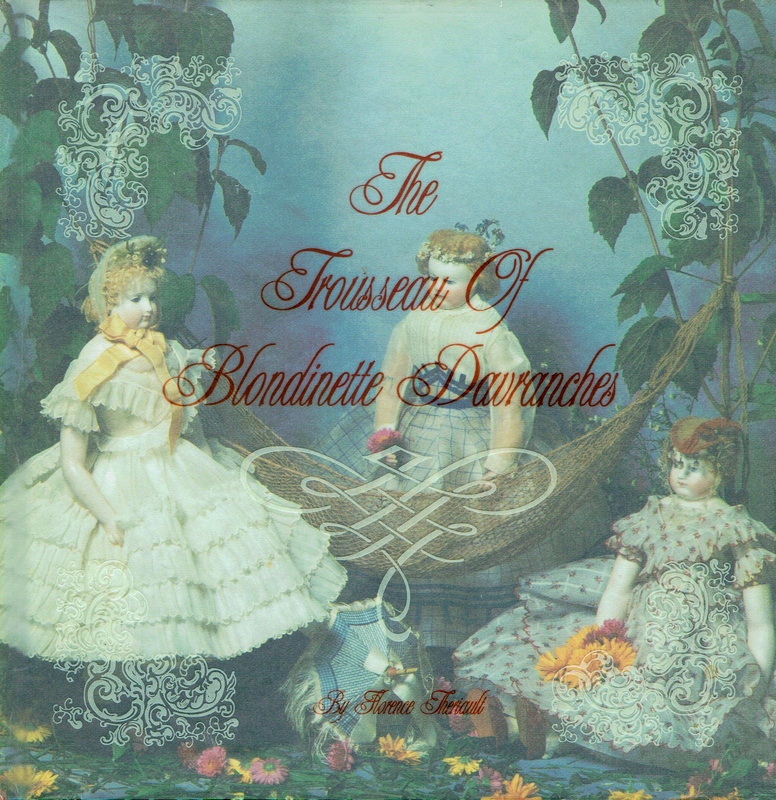 She reminded me of the exquisite Blondinette Davranches, whose trousseau was featured in an earlier Theriaults catalog/book. But, I still didn’t have enough money. 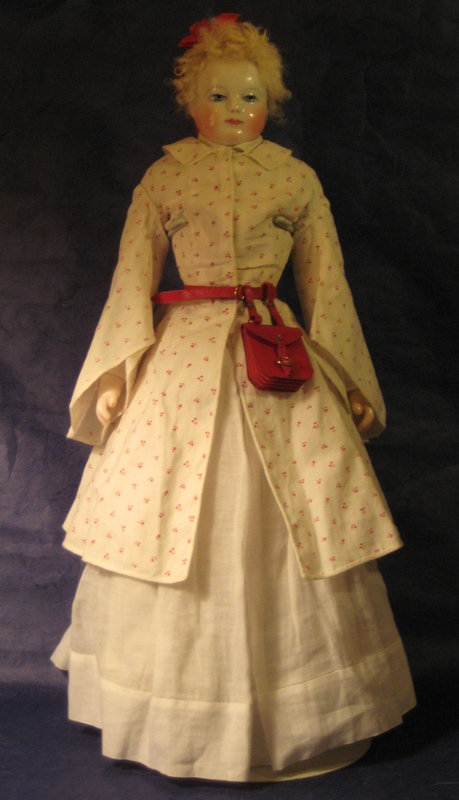 Just in case, I had brought a picture of my lovely, early glass-eyed French china doll, in her original costume, that I had been reluctant to sell. The dealer agreed to take her, so I called my daughter and had her take her to the shipping store and send her to me. I got my Huret! This is how she looked when I purchased her. I was convinced, at the time, that I wouldn’t ever need to purchase another doll. 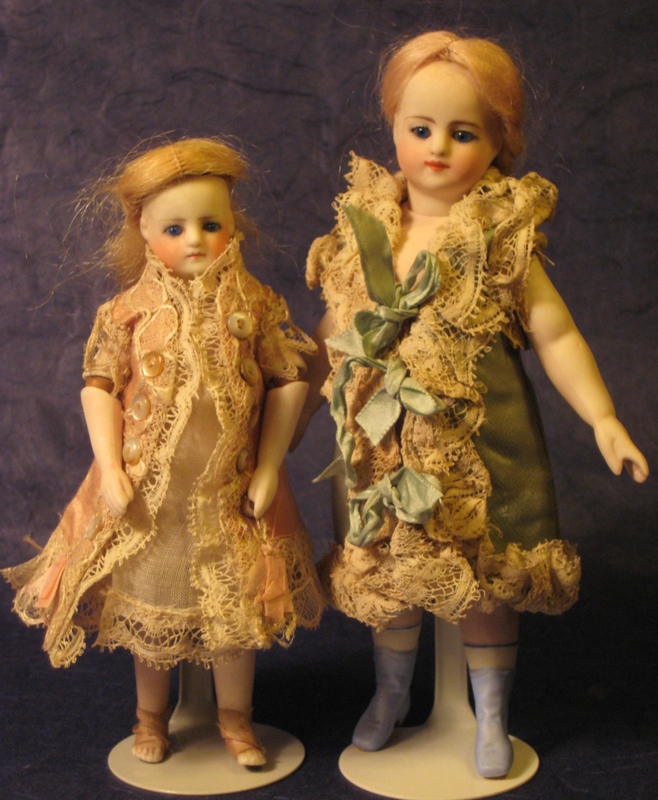 Since then, I have sold dolls, old doll making supplies, and books on eBay and Amazon, to trade-up to pricier/rarer dolls like these dainty French mignonettes. I like having fewer dolls. It is less overwhelming to me. I also like the dolls I do have so much more. I don’t have an endless budget, but I don’t think I would buy many more dolls if I did. I am happy with my collection. Tomorrow, I’ll tell you why I think my Huret is so special. I too have collected all lot of dolls without a focus. I have been thinking for some time about doing what you did to acquire your Huret. Family and medical issues have prevented me from moving on refining my collection. Todays posting has encouraged me to get going on selling off my less important dolls and upgrade the collection. Thanks!